Baby led weaning can help teach your child more than just how to eat – it can help hone their pincer grip as well! 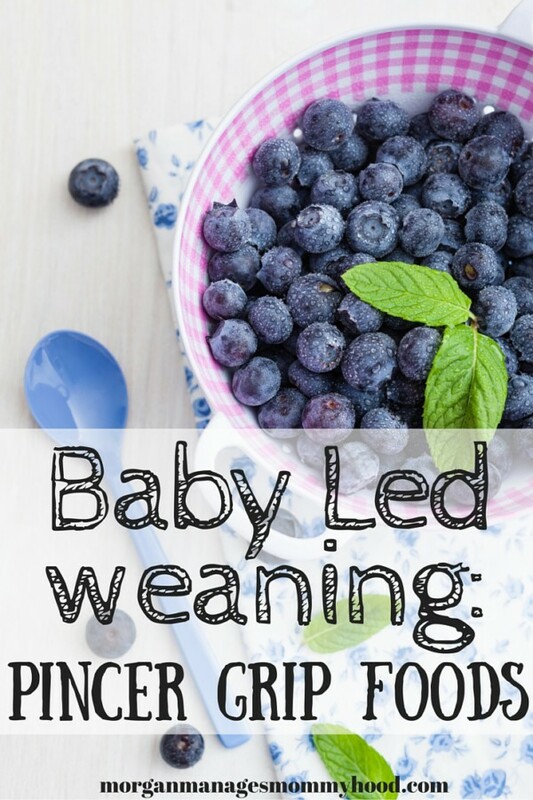 Keep reading to find a list of awesome baby led weaning pincer grip foods! By the time Ryan was 7 months old he was picking up peas. I remember I’d take him places and people would marvel at my little dude picking up peas and gobbling them up. I was (and am!) one proud momma. While a developing pincer grip isn’t necessarily anyhting to write home about, utilizing baby led weaning in the introduction of solids to you baby is a great way to hone the pincer grip quicker. Thankfully, pincer grip foods are relatively easy to find. Technically, any food can become a pincer grip food, but as I’m sure you’ve realized by now, being able to cut a few minutes here and there is gold as a parent. Below is a list of pincer grip foods that more or less come ready for your little ones to gobble up! –Peas. Obviously. I steam frozen peas and put a few on the tray. For a few days they lay be overlooked, but eventually, your baby will start rolling them around and playing with them. –Corn. Again, frozen and defrosted, usually steamed. –Cheese. If using shredded, buy or grate on the biggest shred size, not the micro-shreds. Easier for babes to pick up. –Cereal. Everyone has seen the pictures of adorable, fat babies eating Cheerios! Because of Ryan’s MSPI I was afraid to give him much cereal, but once he was a bit older I did give him puffed rice which he looooved. –Berries. Raspberries are perfect for baby led weaning since they are so soft. Blueberries are great as well, just make sure you cut them in half to avoid choking. In the beginning, I would defrost frozen blueberries and kind of puncture them, so they were just one blueberry and easy to grab, but not so much of a choking hazard. –Beans. Beans are a great source of protein as well as perfect pincer grip foods. We like pinto and cannellini for baby led weaning. I wouldn’t suggest chickpea just yet since they would be easy to choke on. –Grapes. Cut in half lengthwise. I used to cut ours in quarters lengthwise to be extra careful. –Olives. Prepared same as grapes. Buy the lowest sodium possible and rinse well to get salt off. –Smaller pasta. Cooked well past al dente. Elbow macaroni is perfect, but if you want to start a bit larger things like penne and rigatoni are great options. –Puffs. We didn’t use puffs since they contain soy most often, but this is a very commonly recommended food. –Yogurt drops. Again, we didn’t use, but they melt in baby’s mouth which makes them very safe. –Any other food your baby enjoys. Anything cut into little pieces will help hone pincer grips. Make sure they are cut to about the size of a pea, since any larger poses a choking risk. ***It’s very, very important to note that you need to evaluate your own child before attempting smaller foods or any kind of baby led weaning. I am not a pediatrician, dietician, or any kind of -ician. I just used and loved baby led weaning with my own child and love sharing my experience. 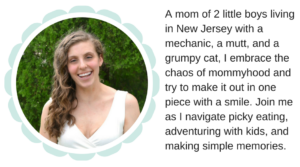 This is such a great post for Moms navigating solids for the first time! This is so awesome! I hope when i have my first child to do this with them. I feel like its a relatively new thing and i love how it introduces foods to them! I wanted to try baby led weaning but my 8 month old still has no interest in eating the food — she plays with whatever I put in front of her and then throws it in the floor. Thankfully, she eats just fine from a spoon. We’ll get there eventually :)! LOVE these tips, I’m such a fan of baby-led weaning!! This is a great resource! I wish I had seen something this comprehensive when I started baby led weaning. Thanks for sharing! Thanks for this! I was just looking into blw since my youngest hates baby food! My baby girls were both huge fans of soft-cooked carrots and sliced pieces of cooked sweet potato. They ate so much of these and pretty much refused any other kind of food for a few weeks, to the point that their skin turned slightly yellowish orange! Their pediatrician recognized what was going on, said this was common, and that there was no reason to worry. Thanks for a great post! This is such a helpful post! My little guy is only 2 months old so not yet old enough to be eating solids but I plan to try baby led weaning once he’s old enough. Thanks for sharing at Simply Natural Saturdays! I forgot to mention that this post will be featured and shared on this week’s Simply Natural Saturday! So late to the party but LOVE this post! We’ve been doing BLW with Annabelle. She gets some purees, but that was really at the 6 month mark and now I’m trying to use them up 😉 Tonight she had some lasagna soup (minus the broth) and some of a biscuit and was loving it. Her pincer grasp has come SO far since 6 months. She picks up food and puts it in her mouth so easily!